Now, Harky gets a snarky line or two here and there, reinforcing the feeling that he’s been in control of this fight from his opening move until– well, until the last panel here. But even so, his lines are kept very short compared to the usual grand villainous monologuing. “Royalty” doesn’t quite describe the ‘Nj family, but it’s not totally unreasonable for someone like Harky to conflate that idea with the status of the “eldest families.” How he knows what he knows about wood elf culture is something we never quite nailed down, but all it would take would be one or two refugees to spread knowledge of that culture to other human-hating races. Phil’s alt text is slang I’m not really familiar with, though I assume it’s related to an aspect of WoW I didn’t explore long enough to learn. ‘Bout the alt-text : hearthstones were an item in world of warcraft (probably still are, but I wouldn’t know) given to every player at the start of the game that they could use to teleport their character to an inn of their choice (which is the action known as “hearthing”). It was usually highly inconvenient to use in combat because it required not getting hit for 10 seconds straight, but you’d occasionally see damage dealers using it when a boss fight was beginning to go south, and paladins had an ability that made completely invulnerable for 12 seconds, allowing them to do it with a success rate of 100%, even when fighting against other players. Both cases were typically considered poor sportsmanship. 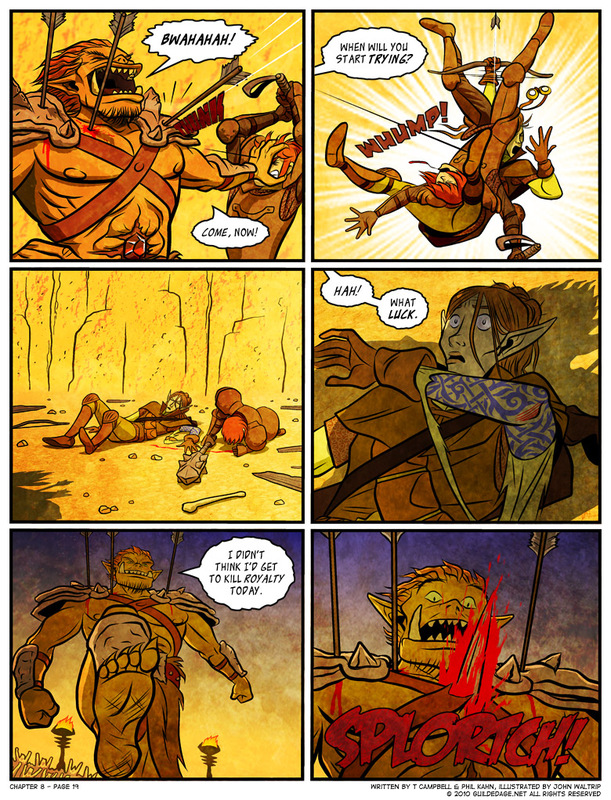 Also, I absolutely adore the next few pages (and, well, the last panel of this one), they’re really a huge part of what made Guilded Age Guilded Age for me. The implications about Byron’s motivations and life choices, along with the character dynamics it would create, are definitely some of my favorite parts of this comic. The hearthing description is accurate, though I’ve mangaged to gank a pally while he was trying to hearth out from Eversong Woods. Good times. Hunter’s also could sacrifice their pets to buy the time to escape. Which really helped when soloing. This guy lures well meaning people into a death trap, and doesn’t even have the courtesy to acknowledge his opponents. All he has is contempt, and that’s all he’s worthy of. That… that troll doll picture… was that deliberate? 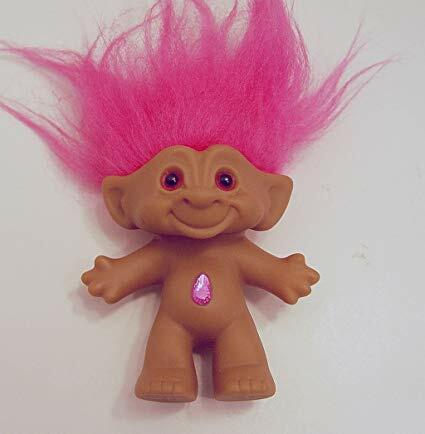 T-tell me you guys didn’t model Harky (and, by extension, the entire troll race) after friggin’ TROLL DOLLS. I don’t know whether to laugh or cry. I feel like it’s more of a “visual nod” than straight-up modeling. Proportions are different, faces are different, etc. And I didn’t realize the similarity till someone pointed it out, but that’s just the kind of gag I’d expect from my collaborators.